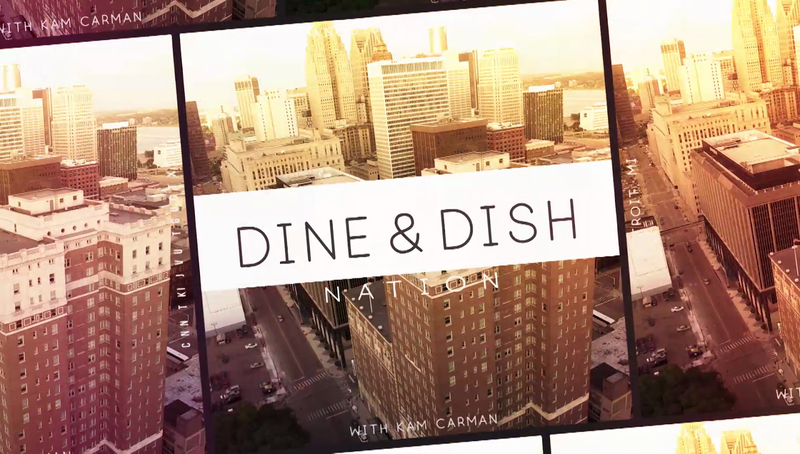 If you love exploring Detroit's restaurant scene or if you're a fan of the city's local media, then you may already know Dine & Dish Nation, longtime Detroit reporter Kam Carman's new TV series which just wrapped up its first season on the city's PBS station. If not, you should definitely check it out: it's a unique, cool twist on the restaurant review show, with each episode sending three regular Detroiters (not professional critics) to eat at three local restaurants and give their reviews, with profiles of each eatery and their owners or chefs mixed in. They feature an eclectic cross-section of the city's restaurants and bars, ranging from Ferndale drink spots One Eyed Betty's and Detroit Axe, to extravagant fine-dining like Prime + Proper, to cool casual eateries like the Russell St. Deli, Detroit Cookie Company, and the vegan coney Chili Mustard Onions. The restaurant profiles and chef/owner/staff interviews do a very good job of capturing the personalities of each place, and basing the show around regular diners (anyone can apply to be in an episode) rather than critics gives a different perspective from the typical show like this. 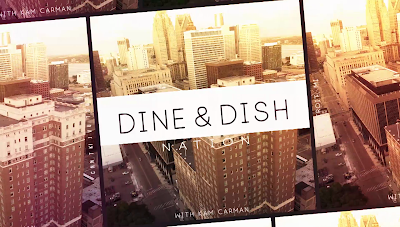 This is the type of series that we generally only see at the national level, and Dine & Dish brings it down to the local level very well - and it certainly helps that Detroit has a thriving restaurant scene which is more than enough to carry a TV show through multiple seasons. Now the indie TV series, from creator/host/executive producer Kam Carman and Detroit producer Tess Hochstein, has launched an Indiegogo campaign to help finance their second season, which is currently in production. The campaign has some pretty cool rewards for those who back it, including series merch, personalized whiskey and wine decanters, and an invitation to a brunch party with Kam on a yacht on the Detroit River. Plus you get your name in the credits on PBS, and help a promising new start-up series get to the next level. The campaign goes on throughout the month of February. And if you're new to the series, all of season one is available streaming on their web site (where you can also apply to be on future episodes), and it airs Mondays at 7:30 on WTVS Detroit Public Television. Don't let us go hungry - share this!